RRSPORT.CO.UK • View topic - magic sponge!! Home > Detailing & Car Cleaning > magic sponge!! Used a product called magic sponge, no chemicals only water, results are stunning. Ahhhh is this like the magic eraser? Just done the whole interior of my sport with Ivory leather. It shifted stuff that other cleaning methods wouldn't. If it's not the Flash Magic Eraser, then it's probably the same thing and we use them all of the time for detailing. They're half price at Tesco (not a forum sponsor ) at �1.50 for 2 so we've stocked up! are these the doktor power sponges?? Hi, used these today and I was amazed. They don't last long but work very well . Thanks for the heads up !!! No mate, Tesco �1 ea. used three, probably should have been four. 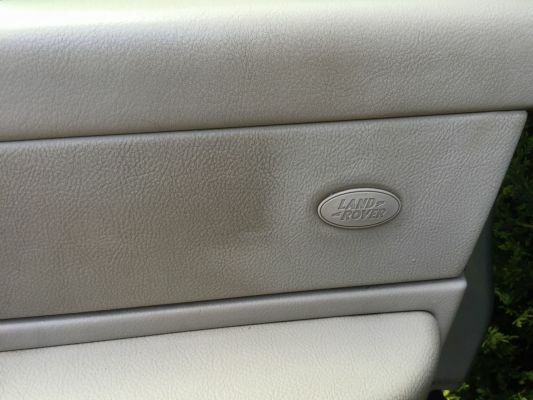 They do offer great results as shown ......but be careful, they are effectively abrasive and will degrade the top coating on the leather. They work well but take it slowly with plenty of water to lubricate and then re-oil the leather.